When you want to stand out on the battlefield, make sure to create an imposing appearance with excellent plate armour like the Large Steel Markward Spaulders. These massive steel spaulders feature a bright metal finish. Despite their size, the shoulder armour still manages to be very movable, allowing a good range of motion. Rivets add touches of detail to the metal spaulders, which go great with other medieval armour, especially our other Markward armour like the Steel Markward Gorget (MY100054). 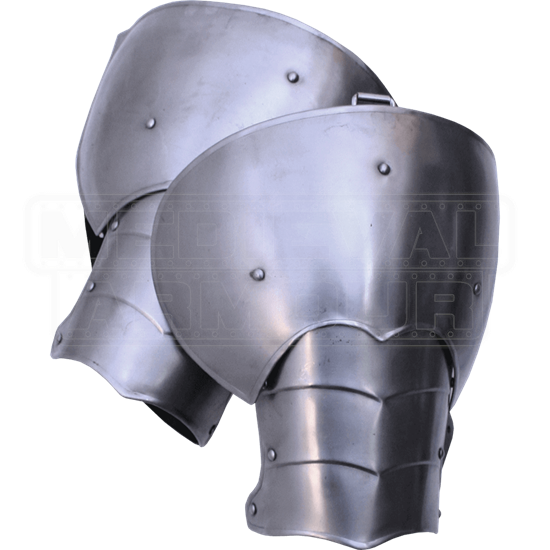 We recommend wearing padded arming wear with this plate armour for increased comfort. 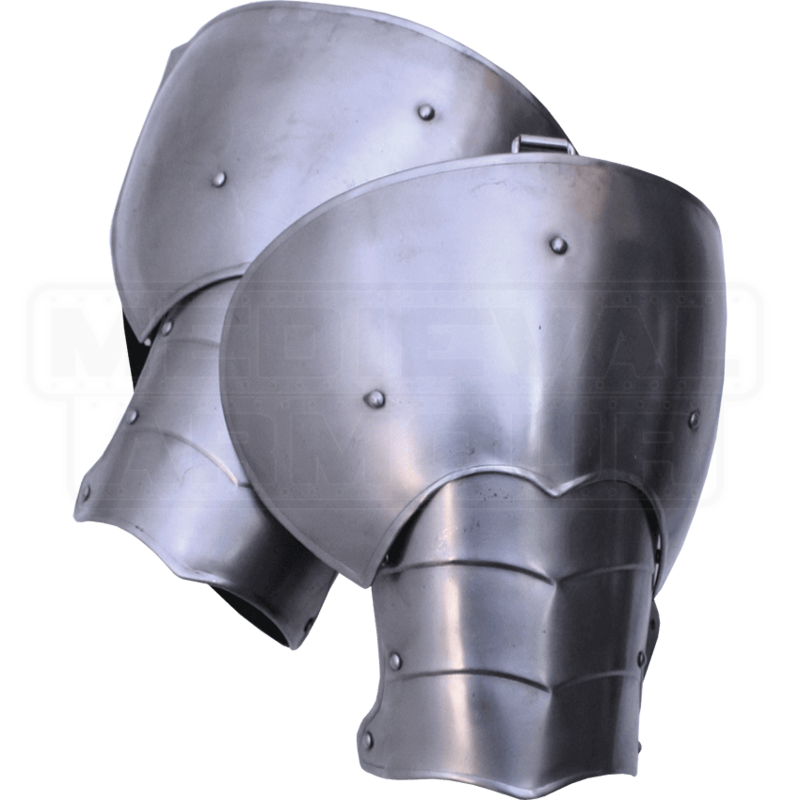 This steel armour is ideal for LARP event and re-enactments. Please note that this item must be worn with a gorget. I ended up getting a set of these for Christmas and got a laugh at how large they are. They're a marvelous design if you want something 'Knightly' for any LARP session. They're easy to buckle by yourself, no squire required and just as easy to move around with.